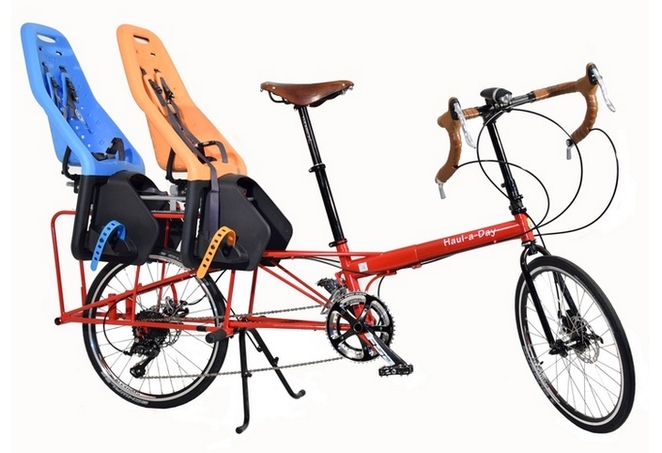 The Haul-a-Day offers unprecedented versatility because it utilizes Bike Friday’s OSATA [One Size Adjusts To All] design, which allows its frame to adjust to fit riders 4-foot to 6-foot-4 (1.2-1.9 m). 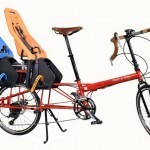 Parents can take turns riding the same bike in the morning taking kids to school as well as riding it in the afternoon bringing home supplies from the hardware or grocery store. What sets the Haul-a-Day apart in addition to its made in Eugene Oregon pedigree is its 20-inch wheel design. 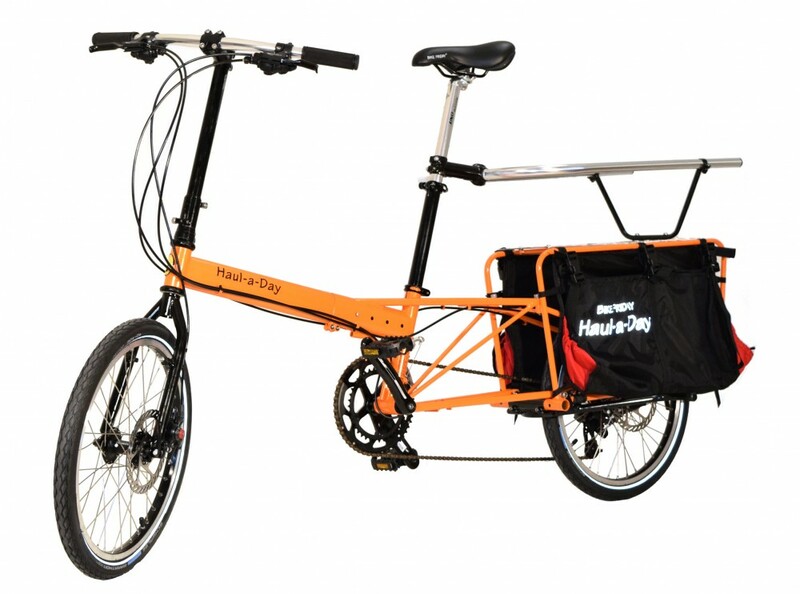 The smaller wheels are stronger to handle heavy loads, and it provides a lower center of gravity as well as an easy step-over height to make it easier to handle when starting and stopping. 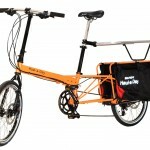 With the Haul-a-Day 8-10 inches shorter than most Cargo Bikes, the result is ease of handling. 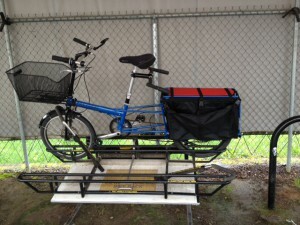 With a little adjustment, it fits on the front rack of a bus. That’s handy.